THESE SANDALS FROM BUILDING BLOCK?!?! LOVE THE SIMPLE YET UNIQUE DESIGN ON THESE. 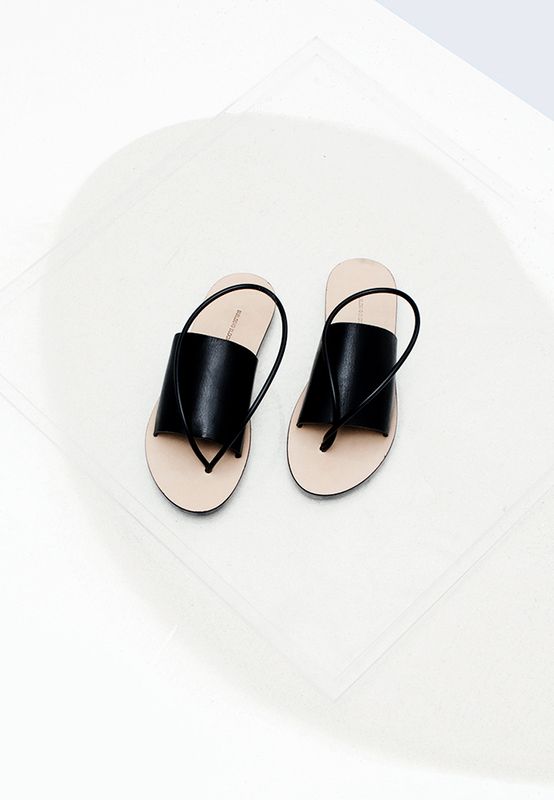 IT'S THE SLING SHOT LOOKING STRAP THAT MAKES THESE SANDALS (also available in tan) OH SO UNIQUE. THIS IS THE SANDAL TO ROCK IF YOU'RE LOOKING FOR COMFORT, STYLE & EDGE. ON A SIDE NOTE... I GOT TO CHECK OUT THEIR SPACE THIS PAST WEEKEND. I'LL HAVE TO SAY IT'S A HIDDEN GEM IN LOS ANGELES THAT IS NESTLED IN CHINATOWN - SO RANDOM, BUT THAT'S WHAT GIVES IT THE COOL FACTOR. SO, IF YOU LIVE IN THE LA AREA OR ARE VISITING, I HIGHLY RECOMMEND STOPPING BY. AND MAKE SURE YOU HAVE YOUR CAMERA READY BECAUSE EVERY SQUARE FOOTAGE OF THEIR SPACE IS PICTURE WORTHY!